Since 1857 we have been manufacturing "Open-die hot forged" - formerly also called "handforged" - pans out of one piece, mostly for the gastronomy, because skilled cooks and chefs know their excellent characteristics and do not want to do without their advantages. 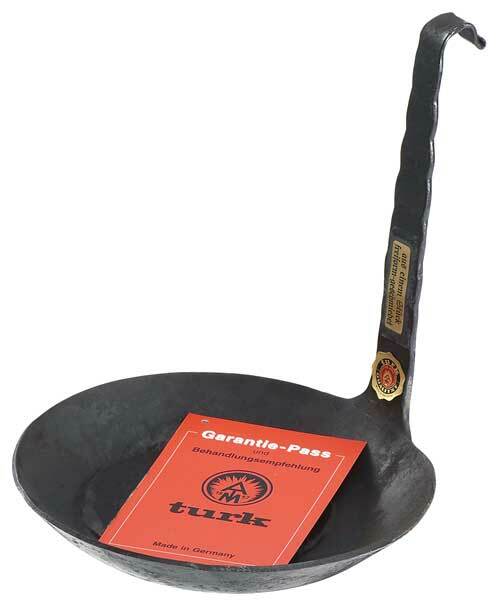 The »turk-pan« is open-die hot forged out of one piece. This is recognised by the seamless - not welded or rivetted -handle and by the typical surface structure originating from the forging process. 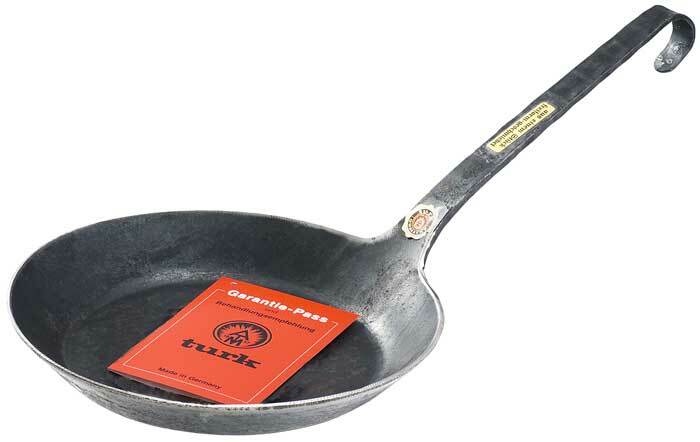 The »turk-pan« is not coated. 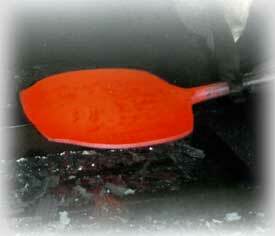 It is scrath and cut resistant and the frying characteristics improve increasingly with every use.